Starts with Muang District where Jaesorn Natural Forest is located. 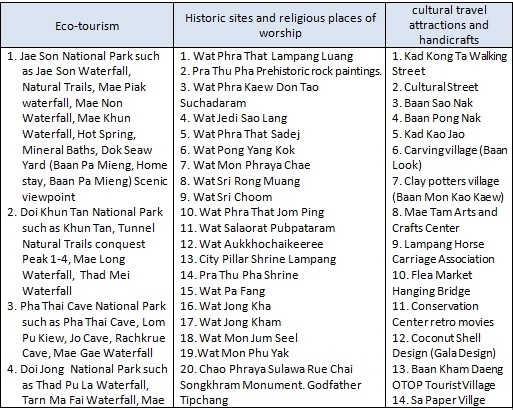 Lampang Province has a variety of tourist attractions including Eco-tourism, Historic sites and religious places of worship, and cultural travel attractions and handicrafts as follows. There are also other tourist destinations for recreation, for example. Travel by car from Bangkok, take Highway 1 until Km 52, turn left on Highway 32 pass Sing Buri province, Chai Nat through Nakhon Sawan, then turn left onto Highway 1 through Kamphaeng Phet, Tak straight into Lampang province. The distance is 599 kilometers and takes about seven hours, or the new route of Phitsanulok, then travels to Den Chai district of Phrae, straight to Lampang. Travel by bus, transportation company limited organized regular bus services and air condition buses. For more information inquiry, please contact Tel. 02-8362852-66 02-5675599 Lampang Bus Station Tel. 054-227410 054-217852. Nakhon Lampang train station every day. Detailed information, contact 1690 and Nakhon Lampang railway station Tel. 054-217024, 054-318648. Travel by airplane, nowadays there are two companies serving airplane; Bangkok Airway Company Limited and Nok Airlines Company Limited. The service flights each day are as following. 1. Bangkok Airways Company service daily. 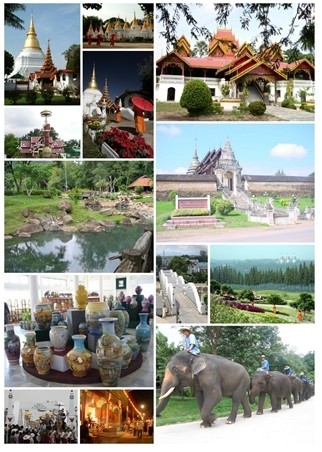 For reservations Bangkok Airways in Lampang call 054-227715 054-351102 or www.bangkokair.com. and Lampang Airport Tel. 054-226258. 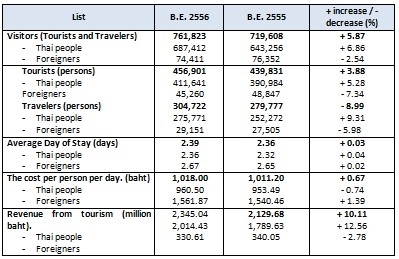 In the year 2556 Lampang Province had guests a total of 761,823 people, up from the year 2555 of 42,215 representing 6.00 percent separating to Thai tourists of 687,412 people, an increase of 2555 to 6.86 percent. Foreign guests of 74 411 people decreased 2.54 percent from the year 2555, revenue from tourism totaled 2345.04 million baht, an increase of 215.36 million baht in percentage of 10.11 a share of revenue from tourists from Thailand 2014.43 million Baht and 330.61 million baht from abroad. 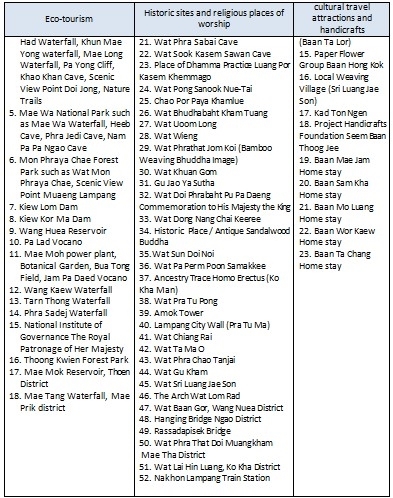 Foreign tourists who come to Lampang first five are as follows. Travel Attractions that many tourists go the most top three are.